Student loan debts can be overwhelming. According to statistics, 70% of seniors graduated in 2014 with around $28,950 in debt. Students graduating in 2015 are believed to be facing even more debt— over $35,000 per student. Those are serious numbers that can be a heavy burden. Call our Columbus bankruptcy attorneys today at (614) 410-6878. 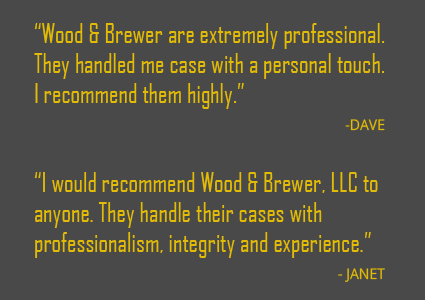 If you or a loved one is struggling with student loan debt, Wood & Brewer, LLC is here to help. At our Westerville bankruptcy firm, your case and your life remain our priority. We are devoted to helping individuals just like you find solutions to their financial challenges, whether it be through Chapter 7 bankruptcy, Chapter 13 bankruptcy, or debt settlement. We understand that any type of debt can be difficult to manage. When it comes to student loans, you may feel like you have no options. The good news is that our bankruptcy lawyers in Columbus can explain your options. No matter your situation, our team has the skills to craft a solution. • An honest and complete analysis of your situation. • Step-by-step guidance on resolving your student loan debt. • Counsel on taking legal action against lenders who violated your rights. • Protection from harassing lenders and debt collectors. We proudly offer no obligation, face to face consultations regarding student loan repayment options. We can review the benefits and downsides of your various options and help you select the best possible path for your unique situation. Our goal is to help you get out of default and review the possibility of discharging your loans through bankruptcy or an administrative discharge. You can rest assured knowing our Columbus bankruptcy attorneys can defend you in court from your student loan lender and even negotiate a settlement when possible. If necessary, we can file a lawsuit against your lender if they have violated any laws governing your student loan rights! Ready to learn more? Contact our Westerville bankruptcy lawyers today at (614) 410-6878.